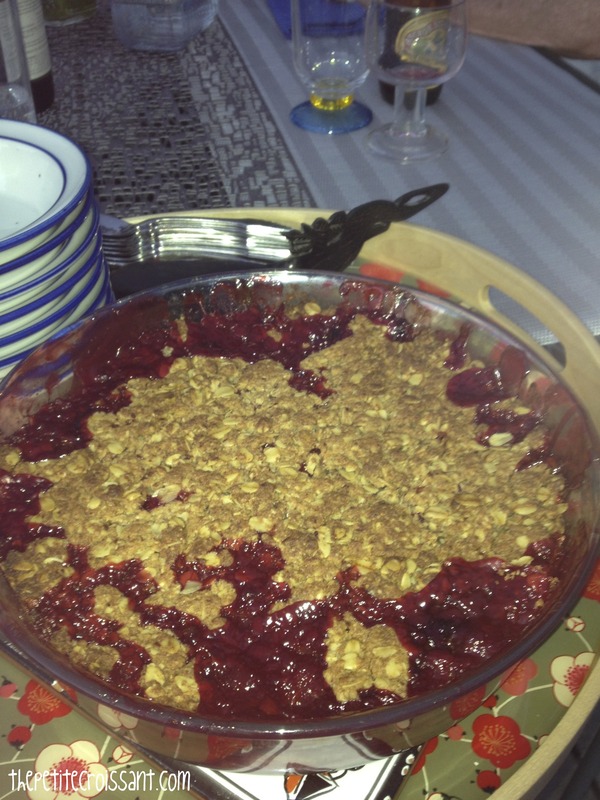 Last year I did a post on the basic pie and crumble/crisp/cobbler recipe. But I just realized, I never actually told you how to make my favorite – the strawberry rhubarb cobbler (not that there’s much to know, pretty simple). 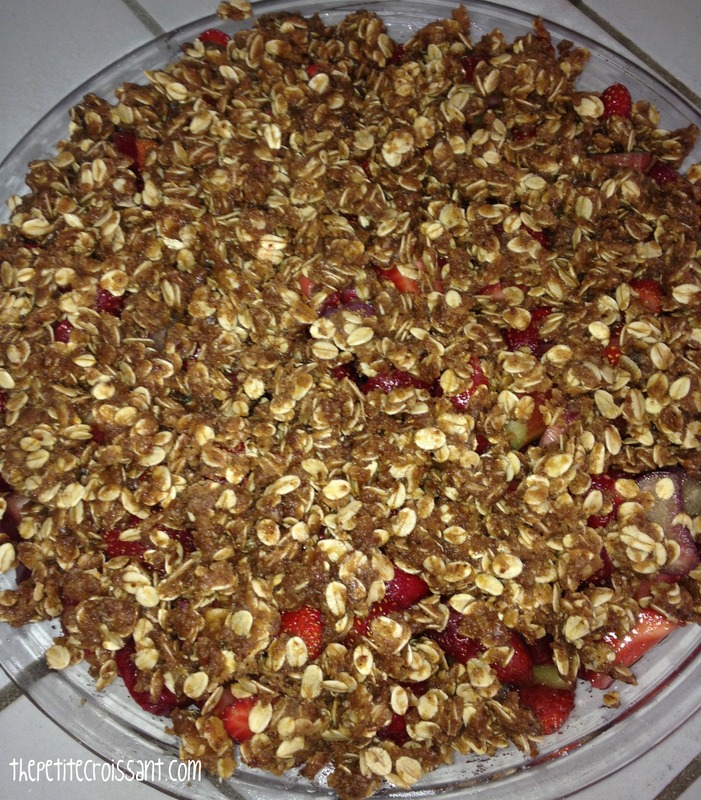 As you know, I love anything with strawberry and rhubarb (see here). 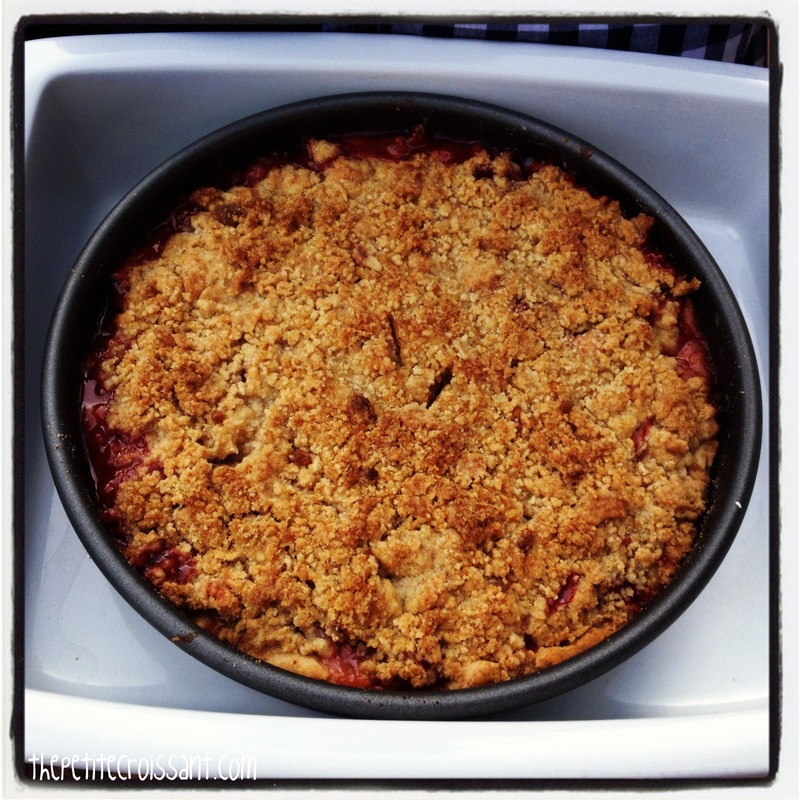 And in the summer, when you can find rhubarb, I just can’t get enough of this cobbler. So, go buy some rhubarb today before the season ends (mid-spring through the end of July). 1. Preheat oven to 375°. 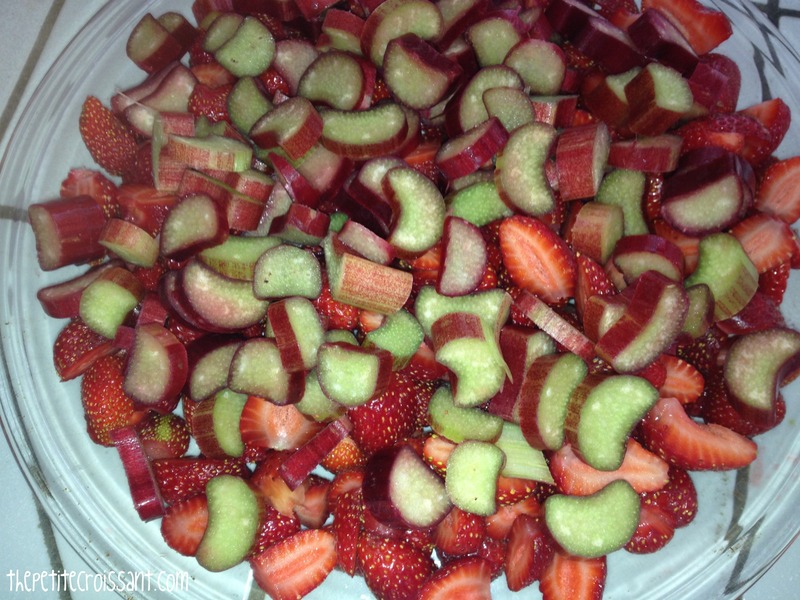 Fill pie pan with strawberries and rhubarb. 2. 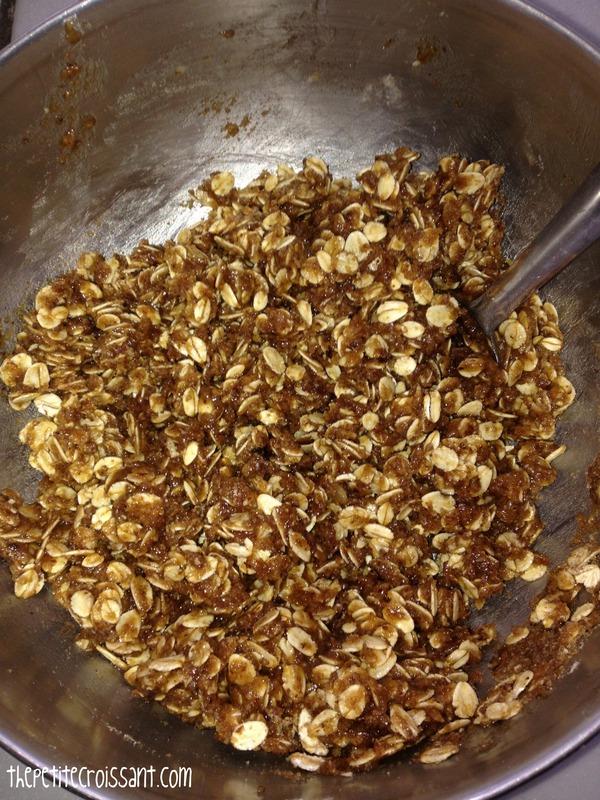 Mix topping ingredients in a bowl. 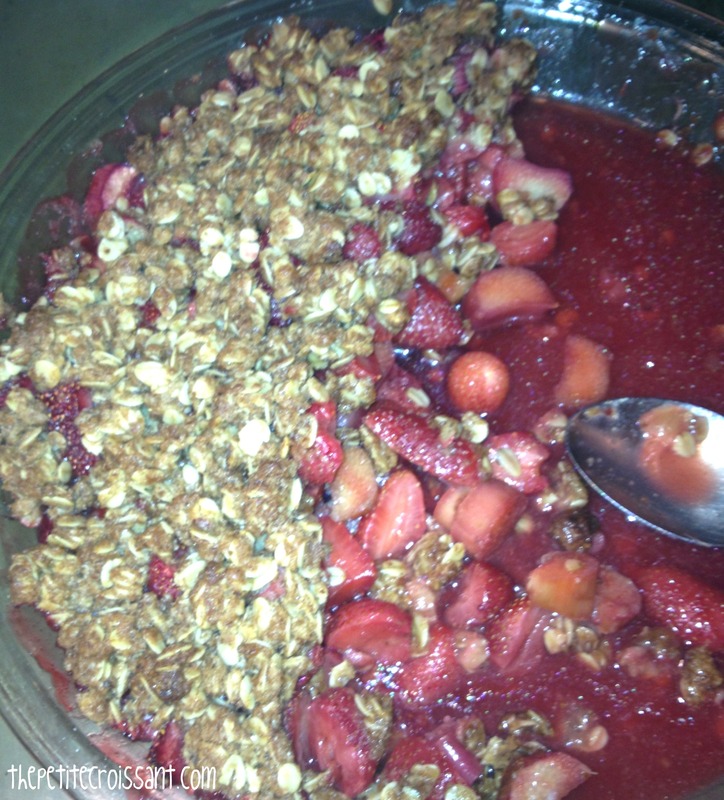 Cover the fruit with the topping. Making sure not to leave any gaps. 3. Place in oven, and cook for 45 minutes. I’d recommend putting a rack below with a cookie sheet in case your pie bubbles over. 4. Enjoy! Some people like their cobbler with a scoop of ice cream. I also recommend eating leftovers for breakfast. It’s the little things in life that bring you pleasure.